“You just made a big mistake pal. Once we’re done with you, your ship will be widowed and your children, if any, will be parentless. 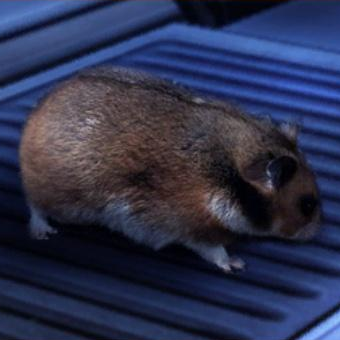 Your space hamster will probably starve too. OVERVIEW Word on the street is that the Crew has come into possession of a Star Map that leads to a valuable artifact. Stat Block: Use the Journeyman Hunter stat block for Vasto, replacing Engaged Unarmed with Engaged Brass Knuckles (4+ damage; Crit 4; Disorient 3) and remove Long Range Disruptor Rifle. Stat Block: Use the Street Toughs stat block for Vasto’s gang. The leader of the Thugs will approach the Crew, with his posse close behind. Word on the street is that the Crew has a Star Map (or data pad/code cylinder/etc) that will reveal a unique artifact. The leader of the Thugs will try and negotiate for the Star Map (low balling the Crew of course), and will not take ‘no’ for an answer. Claims that the Crew are not in the possession of such an item will be dismissed as ‘lies’ (this can be represented via 2 setback die. They are not very bright and very stubborn). If negotiations fail, the Thugs will resort to violence. Your ship will be widowed and your animal companions (or children), if any, will be left mother and fatherless. What is the artifact? Ancient alien technology? A rare alloy? The remains of an extinct species? A pirates secret stash? Hidden blueprints to a weapon/starship/equipment that would solve galactic wide problems at the cost of tycoons who are over charging for scarce resources? A rare starship? A special one of a kind droid? Insert item of Crew speculation? If this is the case, the Thugs are re-directed somewhere else, but they will threaten with violence if they are being deceived (to appear later at an inconvenient time). The leader of the thugs will go for whomever he was negotiating with. The rest of the Thugs will fan out, look for cover, and strike from safety. If the fight breaks out in a cantina, the thugs will not draw weapons unless the Crew does first. The Thugs have a strange sense of bar fighting etiquette. Bar room terrain however, are considered to be appropriate weapons for a bar fight. If the fight leaves the bar, outdoor rules apply (read: real weapons are now fair game). This group of Thugs are not the only ones who have been tipped off to the Crew being in possession of a valuable Star Map. Random encounters with other factions continue until they give up the Star Map or they figure out who is feeding everyone that information. The Thugs might in fact, have the wrong Crew. This case of mistaken identity is a result of their vessel having a similar name to that of another Crew’s vessel. Awkward. The Thugs offer their ‘protection’ from other Thugs in exchange for a cut of the Artifact’s value, instead of trying to obtain the Star Map. Failure to accept their offer however, may result in a fight. Word has spread to either a Crime Lord, Planetary Governor or a Moff. If the Crew didn’t have their hands full before, they do now. This entry was posted on Thursday, April 11th, 2013 at 7:52 am	and tagged with cause & effect, Edge of the Empire, exploration, rpg, secrets, Star Wars, tabletop games and posted in Cause & Effect. You can follow any responses to this entry through the RSS 2.0 feed.